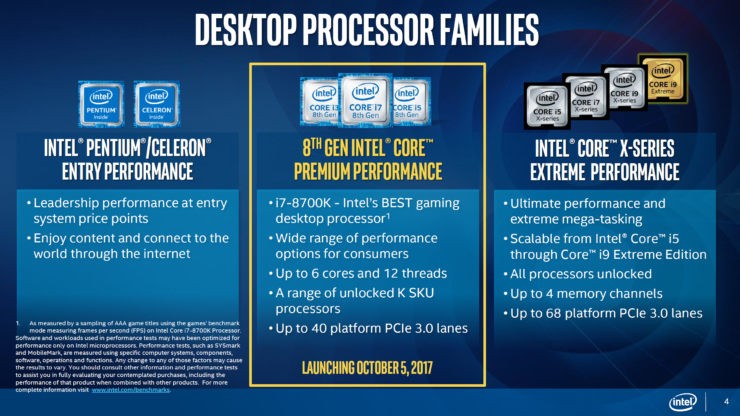 Intel has officially moved the embargo forward for their 8th generation desktop processors known as Coffee Lake. 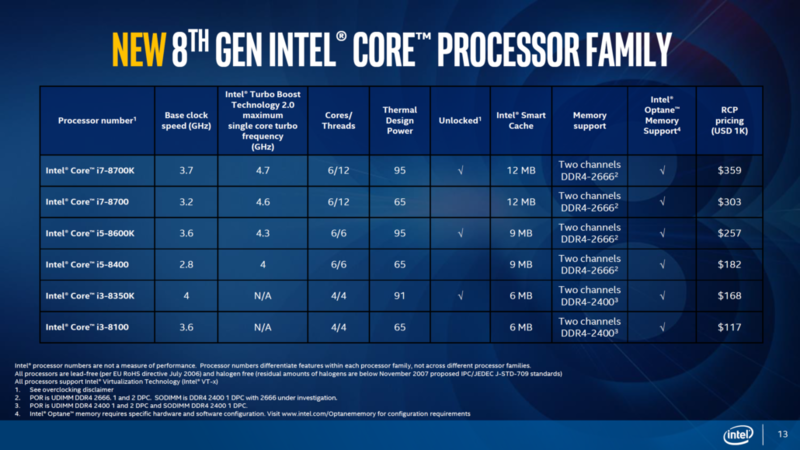 The embargo allows us to cover details that were presented by Intel during a event few days ago and include specifications, prices and performance numbers (official) on the 8th gen processors. 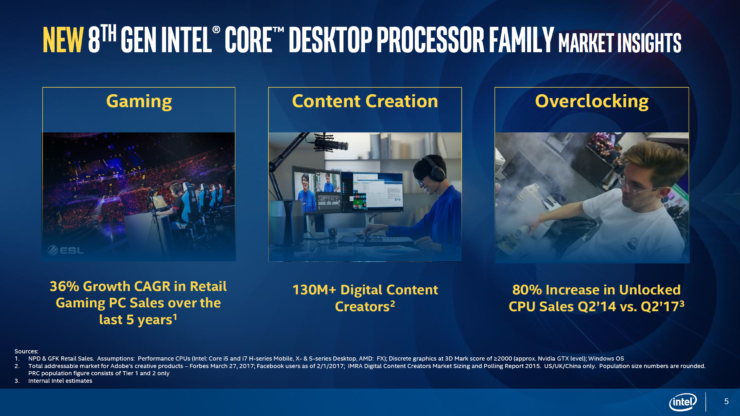 Intel is detailing a lot in their presentation regarding the 8th generation desktop family but they are also keeping a few details out of our reach. 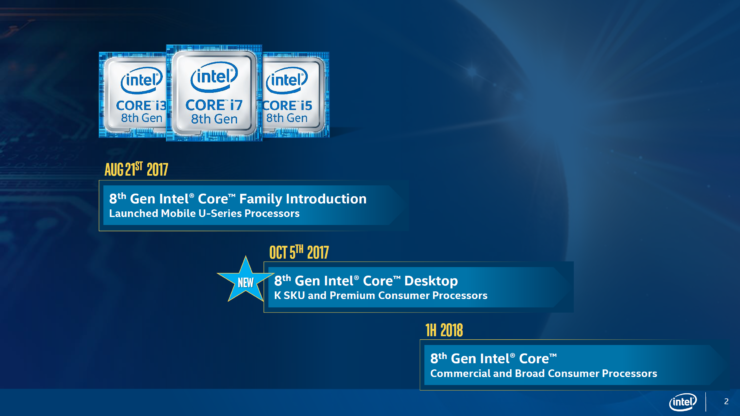 The 8th generation desktop family comes will be arriving at a time when Intel faces a heated battle with its competitor in the CPU department that has long been vacant of any competition. There are a few things happening with Intel’s desktop platform and the processor family which can be seen as a direct or indirect result of this uprising. So let’s get on with the details. 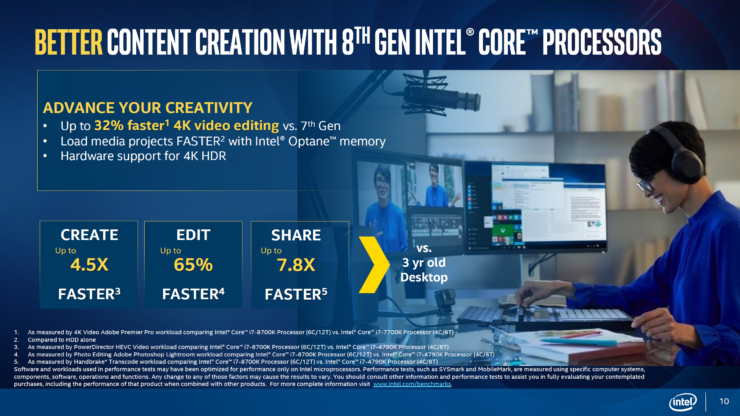 New 8th Gen Intel Core desktop processors and Intel Z370 chipset are perfect for gamers, content creators and overclockers with a range of unlocked “K” processors. 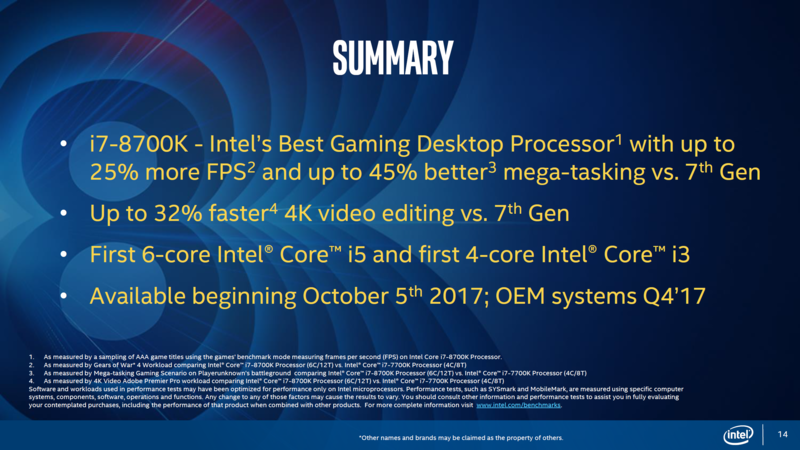 Includes a new Intel Core i7 desktop processor that is the best gaming processor ever from Intel, first-ever 6-core Intel Core i5 desktop processor and 4-core Intel® Core i3 desktop processor. 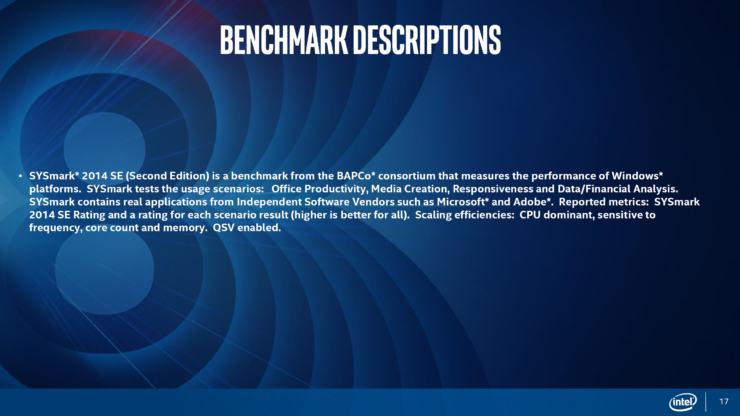 Performance boosts that deliver frame rate improvements of up to 25 percent compared with 7th Gen Intel Core for smooth gaming experiences and up to 65 percent faster editing in content creation compared with a 3-year-old machine. First of all, what is Coffee Lake? In simple terms, Coffee Lake is an improved Kaby Lake that is been possible with the latest 14nm++ process node. 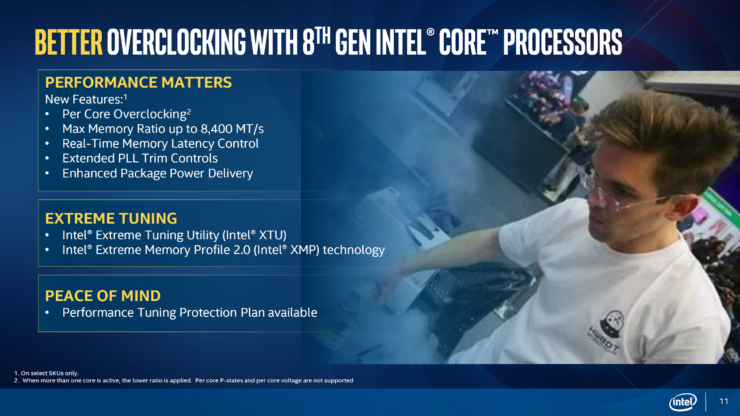 Intel briefed in their webinar that the Coffee Lake is on the same architectural level as Kaby Lake with no changes at all. Aside from that, the new 14nm process allows for improved power efficiency and higher clock speeds. 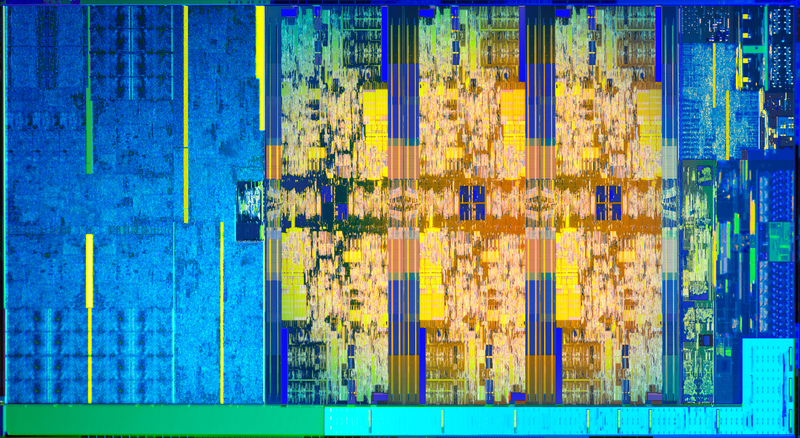 There’s a reason that Intel is bumping up the core count across their entire range of processors. 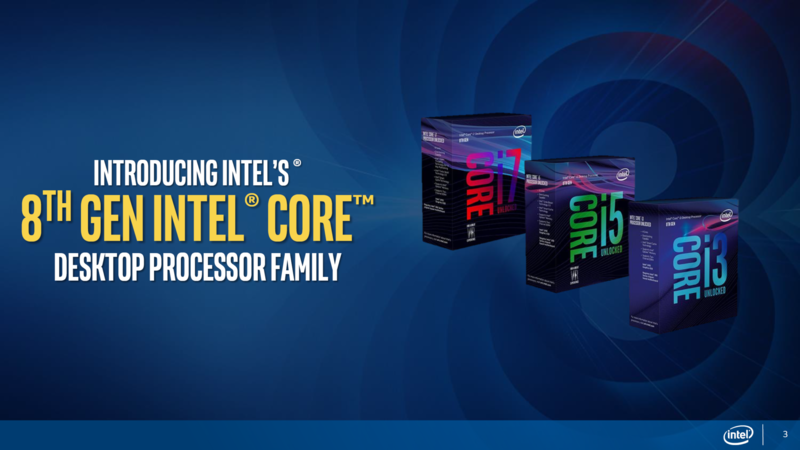 The Intel Core i7 and Core i5 lineup gets 6 cores (HT/Non-HT) while the Core i3 lineup gets 4 cores. The Intel Core i7 and Core i5 processors with 6 cores feature the same TDPs as their predecessors so bumping up the core count hasn’t changed the TDP numbers. Actual power consumption may vary during testing real world applications but for that, you’d have to wait for our review in coming weeks. 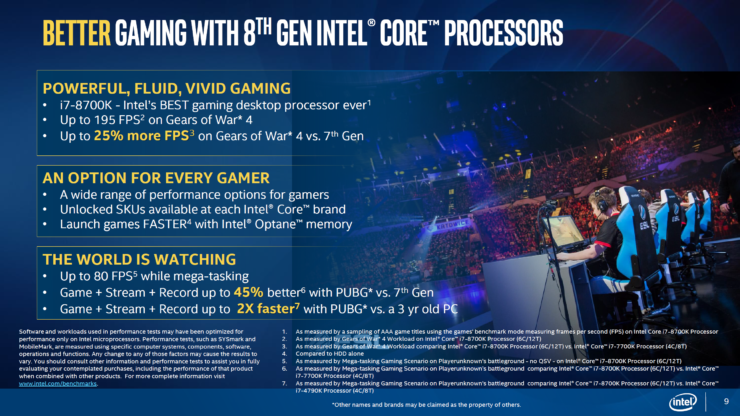 You will also note that Intel has given a fairly good bump to both CPU and integrated GPU clock speeds which is only possible with the new and improved 14nm++ process. 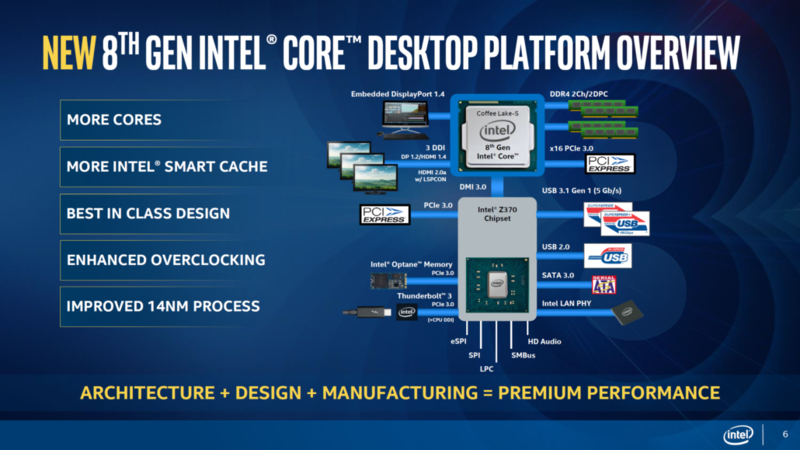 The next significant detail is the Intel 300-series platform. Intel is confirming that the Coffee Lake processors are only compatible with the 300-series chipset. The Z370 motherboards come with a socket known as LGA 1151 and that is the same socket we have seen on the consumer platform since Skylake. But with Coffee Lake, LGA 1151 on Z370 is no longer compatible with older CPUs. 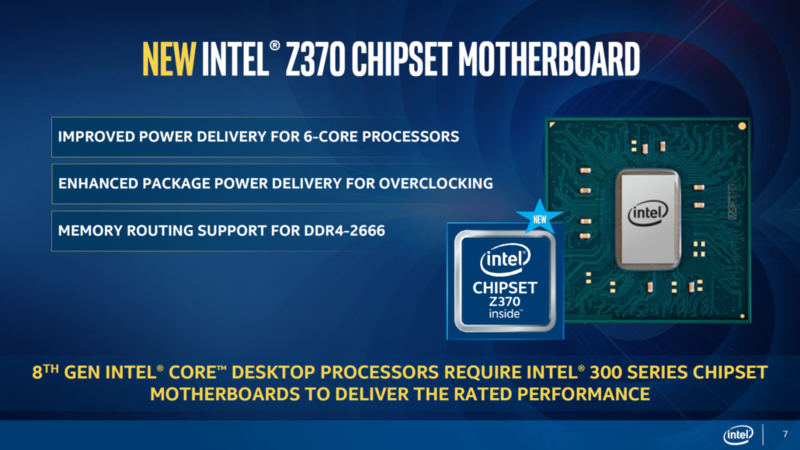 Even Coffee Lake processors are not backward compatible to 100 or 200 series motherboards. The reason cited by Intel is the change in electrical lanes and power delivery that Z370 improves substantially. We did have a word with some motherboard manufacturers and while they reveal that Coffee Lake may work with older motherboards, it won’t deliver the same level of stability or clocking as on the Z370 series motherboards. Now one thing you might have noticed in other articles is that they state Intel Coffee Lake platform will feature 40 PCIe Lanes. That’s true but not entirely an accurate representation. As you see, Intel does has 40 PCIe 3.0 lanes on their upcoming family but those are a combination of CPU and PCH lanes. All Coffee Lake CPUs feature 16 PCIe Gen 3.0 lanes while the Z370 PCH features 24 PCIe 3.0 lanes. These make up the 40 PCIe 3.0 lanes that Intel claims of. This means that people can add in two GPUs for SLI or mGPU support which will be given to the CPU while PCH can allow for additional devices such as PCIe / M.2 storage or Intel Optane support. 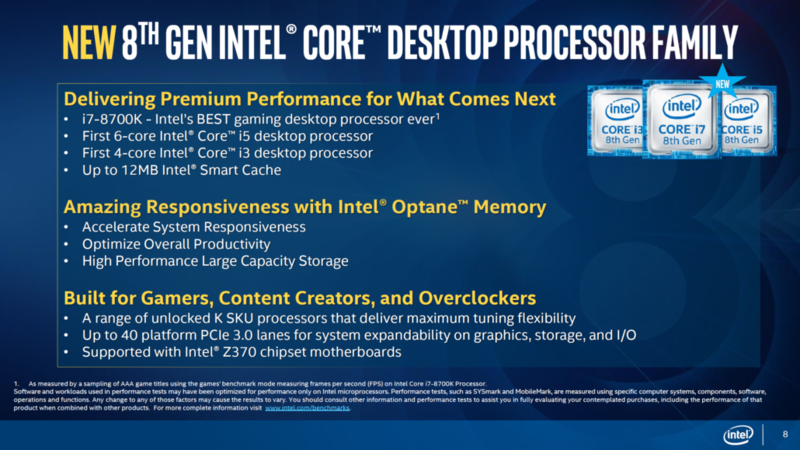 The Intel Core i7-8700K will be the flagship processor of the lineup. It will feature 6 cores and 12 threads. The chip will be compatible with the LGA 1151 socket on the Z370 chipset only. 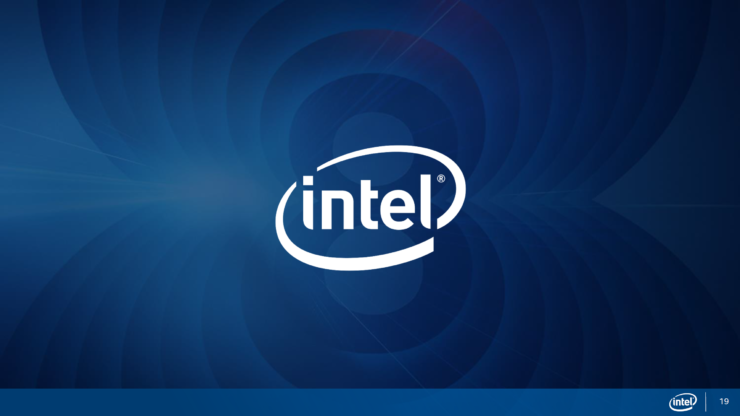 The chip will be Intel’s first hexa core product and will be based on the 14nm process node. In terms of clock speeds, we are looking at a 3.7 GHz base frequency which boosts up to 4.3 GHz (6 core) and 4.7 GHz (1 core). These clocks are really impressive so we can expect much faster gaming performance on Coffee Lake parts than the current generation of CPUs. The chip is fully unlocked allowing for overclocking and comes with a TDP of 95W. There’s 12 MB of L3 cache on board along with a GT2 tier iGPU. The chip supports DDR4-2666 MHz memory (native) and up to 4400 MHz+ (OC). 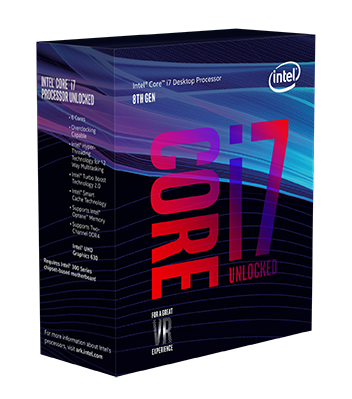 The Intel Core i7-8700K will cost $359 US at launch. 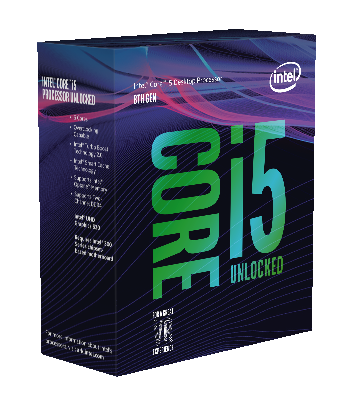 The Intel Core i5-8600K is the second unlocked chip in the lineup and features a hexa core design. We have learned that the Intel Core i5 series will stick with 6 cores but they will not feature a multi-threaded design. The chip probably features 9 MB of L3 cache while being supported on the LGA 1151 socket. In terms of clock speeds, we are looking at 3.5 GHz base, 4.2 GHz (6 core), 4.3 GHz (1 core) boost clocks. The chip will feature a TDP of 95W and the pricing will be set at $257 US which is just a few bucks over $242 US Price of the Core i5-7600K making it a great option for gamers who want some extra cores inside their rigs. 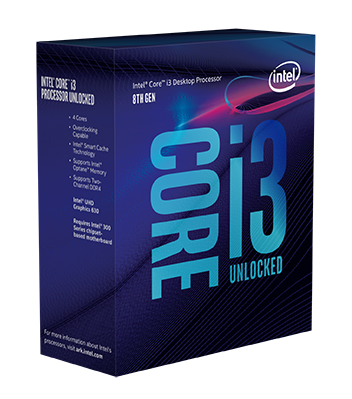 The Intel Core i3-8350K might be the only Core i3 chip in the 8th Gen family that enables overclocking support. 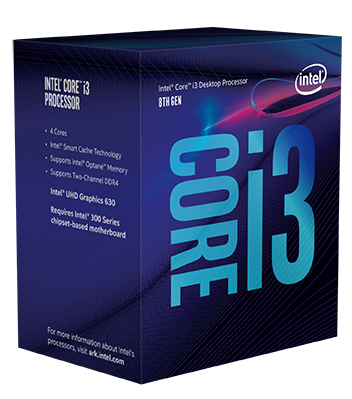 Intel’s 8th Gen Core i3 family is also the first to feature 4 cores which will be a great deal for budget builders. 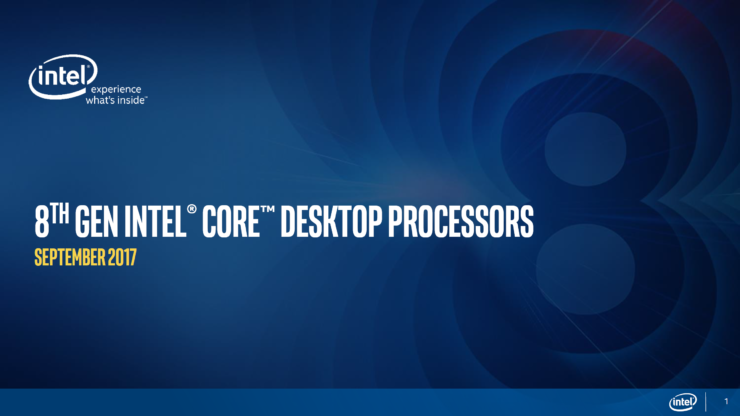 The Intel Core i3-8350K comes with 4 cores and 4 threads that are clocked at 4.0 GHz. The chip features 6 MB of cache and will feature a TDP of 91W. The Intel Core i3 chips will not feature boost clocks but they will have a more stable base clock speed and pricing is set at $168 US for the unlocked model. Intel Core i5-8400 – A 6 Core Chip Under $200 US, Is This The Dream Gaming Chip? The one other chip that is worth mentioning is the Intel Core i5-8400. This is a 6 core processor with no hyper threading and no overclocking enabled so what makes it so special? The pricing. 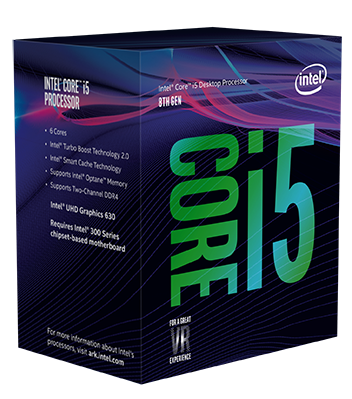 Intel Core i5-8400 has been priced at a remarkable $182 US range which is under the $200 US pricing range. 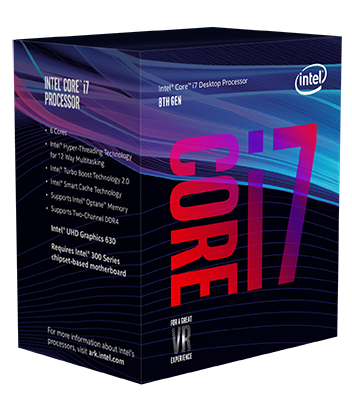 This makes it a very competitive chip for the gaming desktop market as you can have a modern 6 core gaming processor for a fantastic price. We are very interested to test the chip out ourselves. The combination of these tools and features will presumably deliver better overclocking and even faster performance out of the chips. In terms of pure gaming performance, Intel says that the Core i7-8700K, when paired with a GeForce GTX 1080 Ti class graphics card delivers up to 195 FPS in the Gears of War 4 title, that’s a 25% increase in FPS over the Core i7-7700K. The extra number of core also deliver better streaming performance that is a must in today’s gaming ecosystem. We can see up to 45% better performance in Player Unknown Battlegrounds while gaming, streaming and also recording at the same time versus a Core i7-7700K. Compared to a 3 year old PC with something like Haswell or Ivy Bridge inside it, we can see a difference of 2X which sounds great. 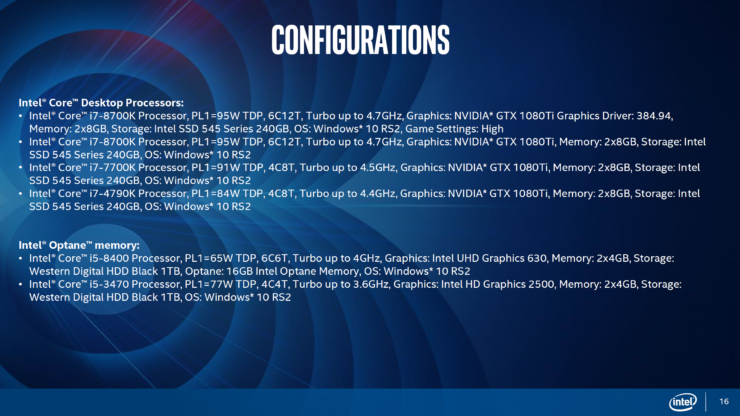 As measured by a sampling of AAA game titles using the games’ benchmark mode measuring frames per second (FPS) on Intel Core i7-8700K processor. As measured by Photo Editing Adobe Photoshop Lightroom workload comparing Intel® Core™ i7-8700K processor (6C/12T) vs. Intel® Core™ i7-4790K processor (4C/8T). 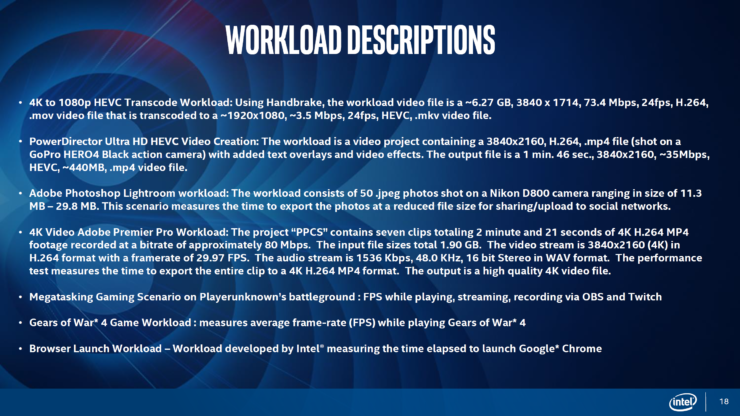 As measured by 4K Video Adobe Premier Pro workload comparing Intel® Core™ i7-8700K processor (6C/12T) vs. Intel® Core™ i7-7700K processor (4C/8T). 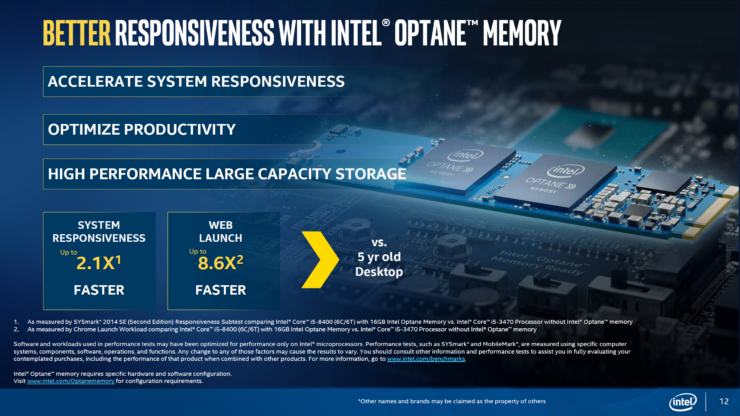 As measured by SYSmark* 2014 SE (Second Edition) Responsiveness Subtest comparing Intel® Core™ i5-8400 (6C/6T) with 16GB Intel Optane Memory vs. Intel® Core™ i5-3470 processor without Intel® Optane™ memory. There are also some numbers when it comes to content creation and I’ll leave the slide for you to take a look at them. Obviously, there isn’t much to see in the slides but you can expect a full on review in the coming days when NDA lifts on 5th October.